Whether you recently moved into a new home or you have been living in the same house for 30 years with the same boiler or furnace, now is a great time to consider a heat pump for your home heating needs. These flexible, multi–use comfort control devices are capable of both heating in the winter and cooling in the summer, all at a lower cost than standalone devices like your current furnace or boiler. If you are interested in learning more about heat pumps and the cost savings they bring to your home, call the Washington, DC area heat pump installation experts at Service Doctors. A heat pump is unique in many ways. First, it provides year–round comfort control – cooling in the summer and heating in the winter. Second, it uses much less energy to heat your home than a furnace or boiler because it does not consume fuel to create heat. Instead, a heat pump actually extracts heat from the air outside your home. In temperatures as low as 20 degrees F in some cases, a refrigerant inside the heat pump extracts heat from outdoor air and uses it to heat air that is then distributed throughout your home through ductwork. While electricity is needed to run the heat pump, the actual heat comes from the air outside instead of a fuel like gas or oil, both of which can cost a lot. The average heat pump will save you between 30–50% on your annual heating bill depending on the efficiency of your current heating system and the average annual temperature where you live. When choosing a heat pump for your home, there are a number of factors to consider. First, you need a device capable of producing enough heat in the winter to meet the needs of your home. Having a supplemental traditional heating system is a great idea for days when it’s especially cold outside. The ideal solution is to purchase a heat pump that will use as little supplemental heat as possible. Heat pump efficiency is also an important consideration. Heat pumps have two ratings for energy efficiency – a SEER (Seasonal Energy Efficiency Ratio) rating which measures efficiency during the summer when in cooling mode and an HSPF (Heating Seasonal Performance Factor) rating which measures efficiency during the winter when in heating mode. The higher the ratings, the less electricity will be consumed during operation. Your heat pump should be sized for your home as well. A trained technician can do this be determining the total square footage of your home and inspecting the current ductwork available to distribute air. 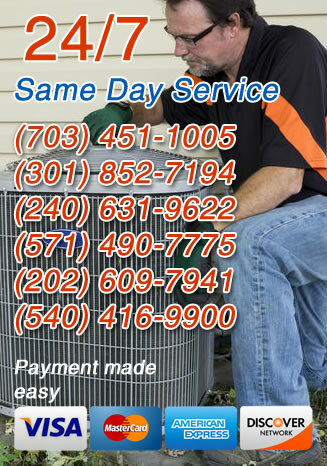 If you feel a heat pump is right for your home, the next step is to find and hire a professional with experiencein heat pump Installation repair and maintenance services Virginia, Maryland and In the Washington D.C. area, the company to call is Service Doctors. Our technicians have years of experience working with heat pumps in the region so they can help you choose the right model for you home and then install it for you quickly and professionally.